Big pharma and patient advocacy groups, plus how much pee is in that pool? This week, beware the "ick" factor as scientists study pee pollution in swimming pools and bacteria growth in hospital sinks. Also, when should health journalists say "never mind?" But first, a new report raises questions about conflicts of interest in patient advocacy groups. When a patient group comes knocking, who is really talking? There are new concerns this week about the influence of the pharmaceutical industry on patient advocacy groups. A special report in the New England Journal of Medicine found evidence of millions of dollars in drug-industry funding. But after studying the tax filings and annual reports of 104 of the largest patient groups in the U.S., the medical ethicists concluded it was impossible to get a precise estimate because there are no disclosure rules. The authors said they undertook the study over concerns that industry-supported patient groups have advocated for drugs with "questionable therapeutic benefit," yet have remained silent on other issues that matter to patients, including high drug prices. It's also a problem in Canada, says bioethicist Bryn Williams-Jones, at the University of Montreal, because patient groups can change government policy. "They can be very influential, in part because when they talk to government, they're speaking with a voice of hundreds or thousands of citizens behind them," he told us. But politicians and civil servants are not always aware of the potential conflicts of interest from industry funding. "They're thinking of them as a group of citizens with a shared interest. They're not thinking of them as a vehicle for the pharmaceutical industry." Williams-Jones says there should be transparency rules about industry funding to Canadian non-profit organizations. Some superbugs are showing up in the worst place — hospitals, where they can be extremely dangerous for vulnerable patients. And hospitals in Canada and elsewhere have traced outbreaks back to sinks. Specifically, sink drainpipes, which seem to offer ideal breeding grounds for the problematic pathogens. But just how do the bacteria get out of the drainpipe? 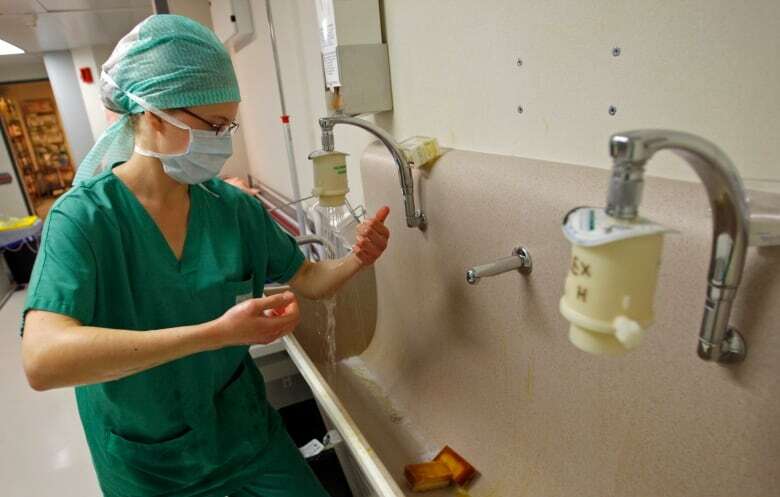 To find out, researchers at the University of Virginia, Charlottesville built a "sink lab," complete with five sinks that replicated those found in the hospital. They grew a type of E. coli in the elbow of the drainpipe. The bacteria grew toward the sink's drain at a rate of about 2.5 centimetres per day. Once there, it could be splashed around the sink bowl and begin its invasion through the hospital. The bacteria also managed to creep from sink to sink through a connecting pipe. The study's lead author, Dr. Amy Mathers, told us there's still a lot of work required to determine the best way to prevent bacteria from spreading this way. In the meantime, she says people definitely shouldn't avoid hospital sinks. "Washing hands is still a very good idea!" You know what we told you about that new study? Forget about it. It didn't work out in the end. That's an admission you'll rarely read in the health news pages. But maybe we should be correcting the record more often. A recent study reveals that journalists rarely follow up when the research they report is later "disconfirmed" by new studies. A group of French neurobiologists tracked research on a range of diseases and compared the news coverage as the science evolved over time. In one case, a genetic factor linking stress and depression was widely covered when it was first reported in the journal Science in 2003. But there was mostly media silence on the follow-up studies that failed to reproduce the genetic link. The authors suggest that newspaper health stories fail to convey the high degree of uncertainty that haunts all early scientific research. How much pee is in that swimming pool? If you're a swimmer, this study won't come as much, er, relief. Researchers at the University of Alberta tested for urine in 31 different pools and hot tubs from two Canadian cities, and determined all of them contained urine. One small pool (110,000 gallons, or one-sixth of an Olympic-sized pool) contained an estimated 30 litres of urine — enough to fill a medium-sized trash bin. And sorry: the researchers promised not to divulge which pool. But just how do you detect urine? They turned to the artificial sweetener called acesulfame potassium (ACE), which is widely consumed in food and drinks. It passes right through the human body without being broken down. By testing pool water for ACE, the researchers could estimate the amount of urine. The study's first author, PhD student Lindsay Blackstock (a swimmer!) was quick to tell us that the health benefits of swimming still far outweigh any risks associated with urine in swimming pools. But "we should all be considerate of others and make sure to exit the pool to use the restroom when nature calls," she said. Would you like these stories and others delivered to your inbox every Friday morning? Subscribe to Second Opinion.